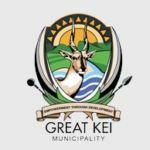 Comprised by Komga, Chintsa East, Haga Haga, Morgans Bay, and Kei Mouth Towns, with its Headquarters in Komga. CLOSING DATE FOR RECEIVING APPLICATIONS IS 18 APRIL 2019 AT 16:30. To apply for this job please visit www.greatkeilm.gov.za.